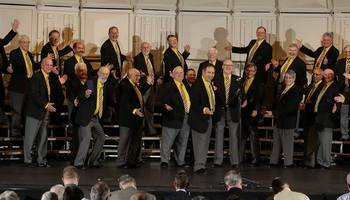 Who ARE The Barrie County Chordsmen? 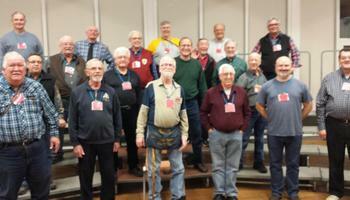 Since 1977 the Chordsmen have been sharing their love for a capella singing in the Barbershop style! We perform throughout Simcoe County bringing 4-part harmony to audiences of all ages..
We rehearse every Wednesday evening at 7:30pm, at the Dorian Parker Centre in Sunnidale Park, 227 Sunnidale Rd., in Barrie..
Want Barrie County Chordsmen to sing at your next function? Why not hire Barrie County Chordsmen to entertain at your next event? We can perform at corporate functions, charity events, community Entertainment events, birthday parties, christmas parties, awards nights, weddings, engagements, anniversaries, engagements, and even funerals and memorial services.